Important: Since Seafile Server 5.0.0, all config files are moved to the central conf folder. Read More. 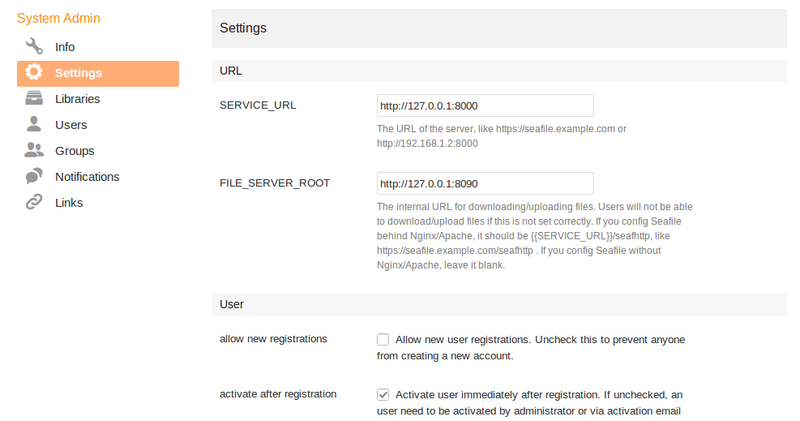 seafile.conf: contains settings for seafile daemon and fileserver. Note: Since version 5.0.0, you can also modify most of the config items via web interface.The config items are saved in database table (seahub-db/constance_config). They have a higher priority over the items in config files.